Can you manage a naughty and nice list that contains data on everyone in the world? 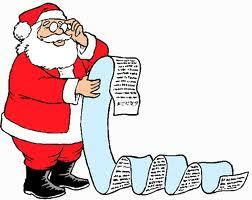 That list must contain names, complete addresses and an up to date tally of wants for the holiday season. Santa seems to handle it pretty well. He rides that sleigh round the world and delivers presents with an amazing accuracy. Makes you wonder how he is able to get it done. Does he have data scientist elves on staff managing his big data? Make you wonder about the true efficiency of jolly old St. Nick and just how we can duplicate that same accuracy. The fact is, marketers and retailers shiver when faced with the sheer amount of data available on consumers. These vast collections of data can be a huge problem for brands and extremely difficult to manage or process with traditional data systems. Accurately managing and linking this data, especially in retail, can be crucial for the success of the brand. Customer transactions, both on and offline, can all be managed more efficiently so that retailers can better understand how to reach customers. When properly managed, this data enables brands to evaluate each customer and understand what it takes to keep them. According to Avanade® Research & Insights in June 2012, “…skills for taking advantage of big data are important. The vast majority of companies (88 percent) with dedicated data analysts have turned data into revenue. Among companies without dedicated analysts, only 49 percent have successfully converted data into revenue.” Clearly, effective management of data and records by retailers will continue to be a crucial focus for success. Amazingly, Santa clearly understands the implications and profits from accuracy in data. He knows that big data is also the next frontier for innovation, competitive advantage and productivity. The efficiency and effectiveness of the Christmas brand depends on Santa and his group of data scientist elves using the record linkage tools to keep the holiday merry. Are you on the naughty or nice list this year with your big data? Don’t end up on the naughty list! Do as the jolly big guy does and use record linkage tools to get your data cleansing off to good start for the New Year.